New Year, New Life in Canada - Gateway to Canada | Canada Immigration Consultancy! Another client is starting a new life in Canada come 2010. New year, new life in Canada! 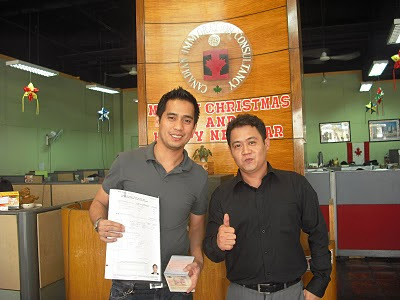 That's Mr. George Hansen Reyes, a Registered Nurse, with Mr. Jay Araneta of Canadian Immigration Consultancy. Click here to read Mr. Reyes' Canada Visa application time line.